Greater Western Sydney (GWS) is located in the western part of the Sydney metropolitan area, Australia, and is a growing region of economic opportunity, community aspiration and environmental diversity. 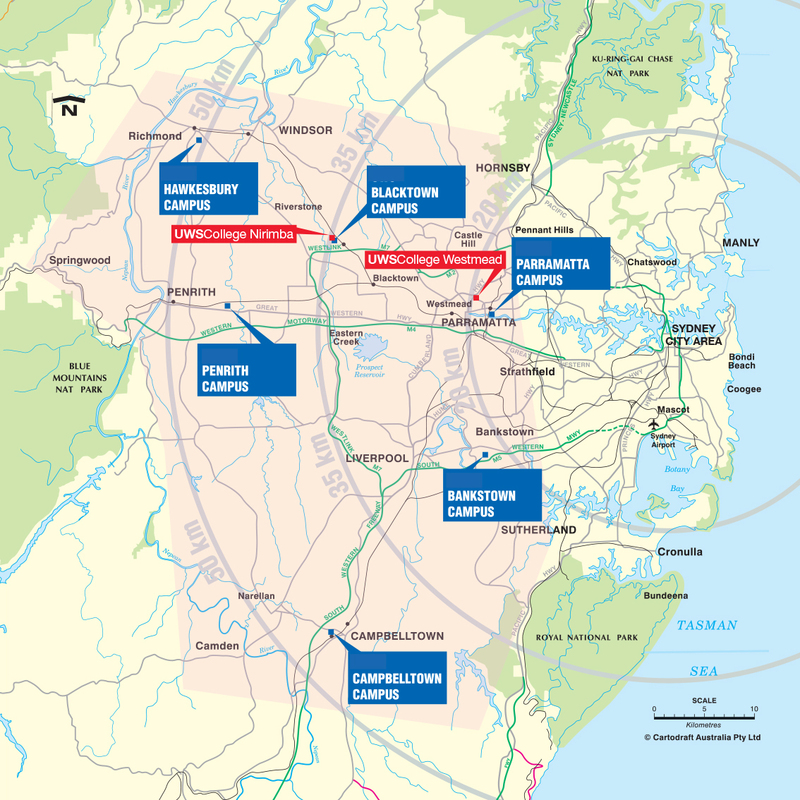 The Greater Western Sydney region runs from Windsor in the north to Campbelltown in the south, and from Parramatta in the east to Penrith and the Blue Mountains in the west, comprising of 14 local government areas. GWS is home to 1.9 million people - 35% of whom were born overseas. Its population is projected to reach 3 million by 2036 and to absorb two thirds of the population growth in the Sydney region - making the region one of the largest growing urban populations in Australia. GWS residents come from more than 170 countries and speak over 100 different languages. The majority of new immigrants (60%) that come to Australia settle in GWS and over the past decade 50% of these arrivals were from Iraq and Sudan. Around 12% of GWS residents do not speak English well. GWS also has more Indigenous residents than either South Australia or Victoria and is the largest single Indigenous community in the country. GWS has a high proportion of low income families who are dependent on childcare as both parents work. Staff shortages are a major issue for the region's early childhood centres. Overall high school retention rates for years 7 to 12 are the lowest in the Sydney metropolitan area recording 69.5% compared to 95.2% in Northern Sydney. In 2009 twice as many people in GWS aged 15 or older had not attended school at all compared to the rest of Sydney and NSW. Socioeconomic conditions at some schools in GWS lead to discipline and participation problems and students are supported by intervention programs. The region has over 240,000 businesses and generated more than $72 billion gross regional product in 2009, making its economy the third largest in Australia behind the Sydney CBD and Melbourne. The two largest industries in the region are manufacturing and construction. GWS has higher than average unemployment and lower than average salary levels. The region also has high levels of mortgage stress as well as rental stress. The region is heavily car dependent with resulting impacts on air quality, health, quality of life and household budgets. Of the 544,000 jobs located in the GWS 75% of those who live in the region also work in the region. The region also features rural and agricultural lands, natural bushland and a range of recreational and sporting facilities. There are remnants of critically endangered native Cumberland Plain Bushland and World Heritage-listed areas of the Blue Mountains. The Hawkesbury Nepean River system is Sydney's primary water source and the backbone of the region's agricultural and fishing industries. It is also a major recreational attraction for residents of GWS. The demand for land development is threatening not only the natural bushland but the local food industry. There is an extensive body of Indigenous knowledge about the river that is available to the proposed RCE.